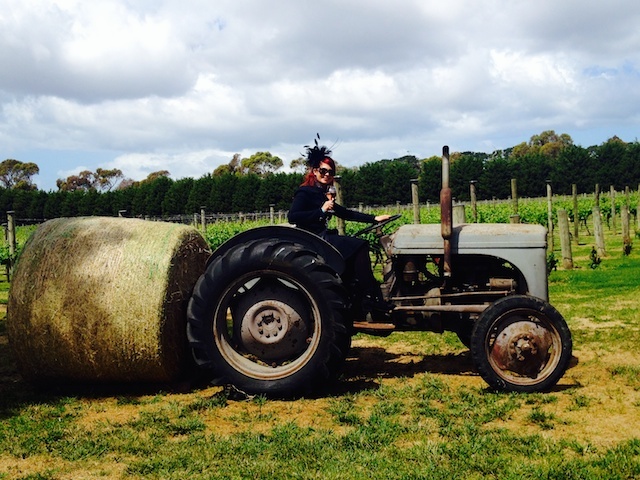 We live in one of Australia’s many wine countries and have not visited any. 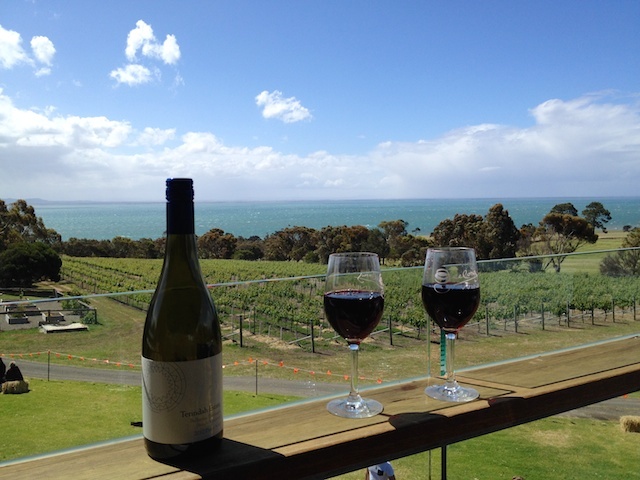 Fortunately, Geelong plans an annual tasting event with a bussing service: Toast to the Coast. We signed up for both the tasting tickets and the bus tickets. Our friends had gone the year prior and suggested that we arrive early and catch the first bus, because last year had been chaos. When we arrived at the Geelong Train Station to catch the bus, it was, again, chaos. There was a line to get wristbands and glasses, so we got in it and it never moved. The problem was the location in which glass and wristband distribution was happening – right where you catch the bus. This meant, people would get their glass and wristband and then never get out of the way, because they worried about losing their place in line for the bus. First busses came and went, we pushed our way forward and finally got our stuff. Then we realized the guy managing the line, was not maintaining order – when the busses came, people just shoved and pushed their way forward. Chaos. We did, finally, catch a bus headed for the Ballerine Peninsula. 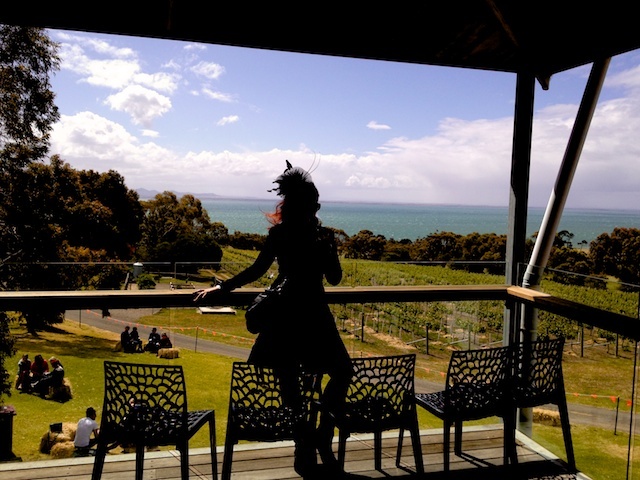 Our strategy was to hit the wineries that had fantastic views of the water, so we very quickly tasted wine at the first winery (Leura Parke Estate) and then immediately changed busses to go to Baie Winery, which is directly on the coast with beautiful sweeping views of the sea across a field. I’m so used to the coast being build up with expensive homes and resorts, that I stood in awe of the open coast line for quite a while. 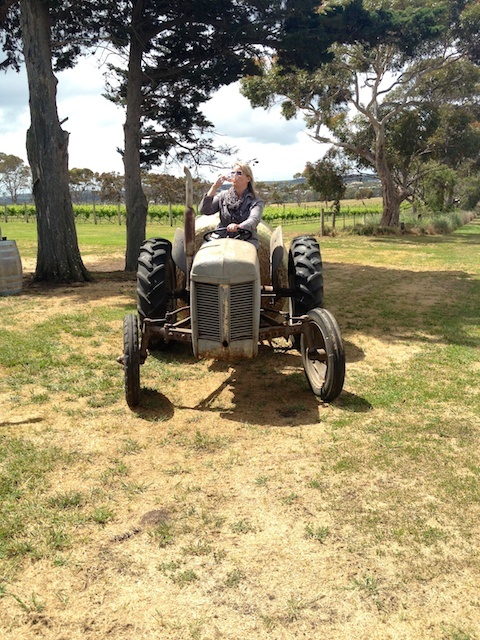 As we headed back for another round of tastings, I spotted a vintage tractor that I NEEDED my photo taken on, so I had a little iPhone photo session, which then started a photo session trend. Several other groups followed suit! As we arrived at the Ballerine Estate, the wind kicked up and it started to rain. We headed inside to obtain our free tastings and order pizzas, but were unable to find table. There was decent live music outside, so we decided to give one of the tents a try. This quickly became a devastating mess, with one of our pizzas attempting to fly away, so we decided it was to buy a bottle and wait in line for the bus. 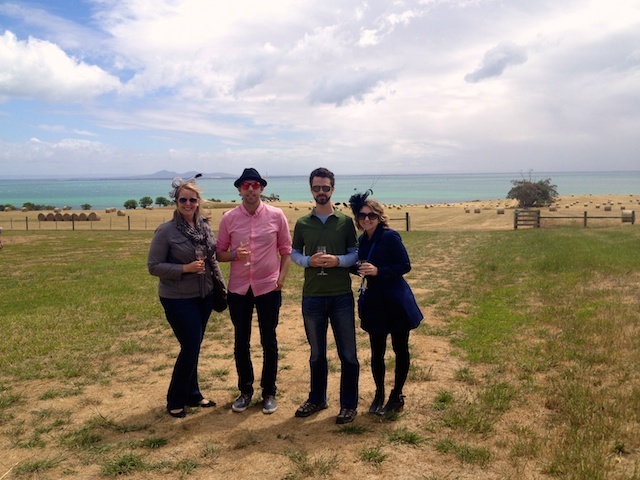 Really, we wanted to be at the wineries along the coast anyway. 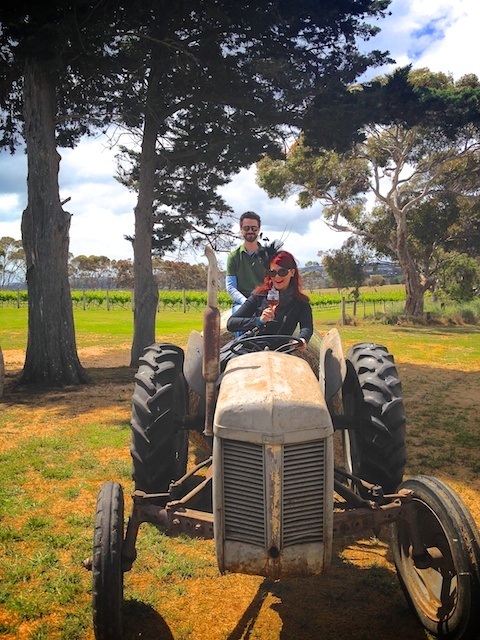 Our last stop of the day was Terindah Estate, which was beautiful! With this as our view getting off of the bus, I knew that the view from the balcony would be epic. I headed up to the balcony to secure seats. The rest of the crew split up for baked potatoes and wine tastings. It was decided that at this point in the day, we were over waiting in line for a sip of wine and bottles were purchased to be enjoyed with this view. Smart. We wouldn’t want to risk losing these seats. We stayed here until one of the very last busses came and we had to leave or risk not having a way back into Geelong. I will definitely participate in Toast to the Coast again next year, but I think it would be worthwhile to hire a driver. The biggest wastes of time were waiting for an hour and a half at the start of the day for a bus and waiting for busses between wineries. For the money we each spent on the bus ticket, I’m sure we could hire a nice car and driver. 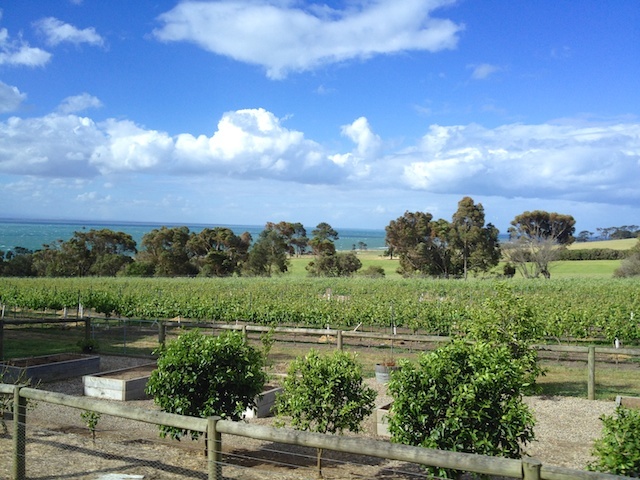 I also discovered that Geelong wines are quite good; honestly, I’d been a little prejudice against them to that point. Now, I will look for them on a menu. Salut!